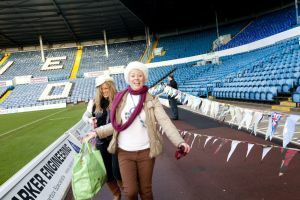 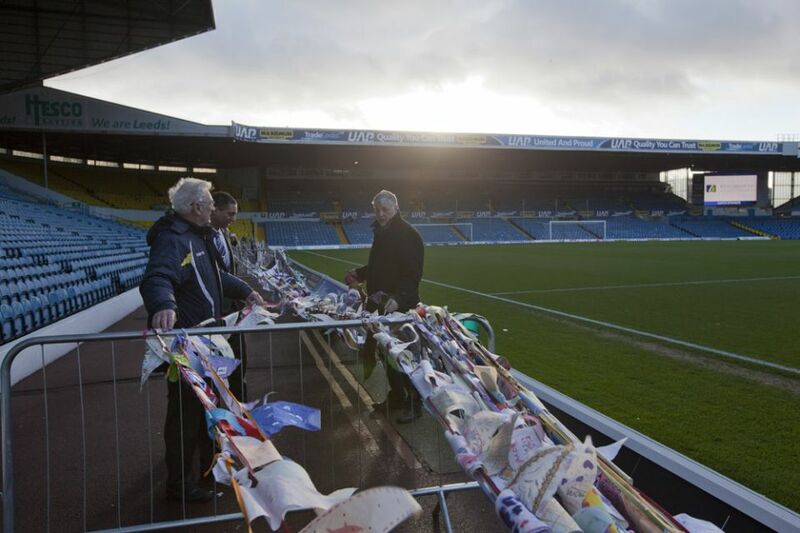 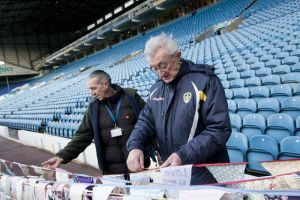 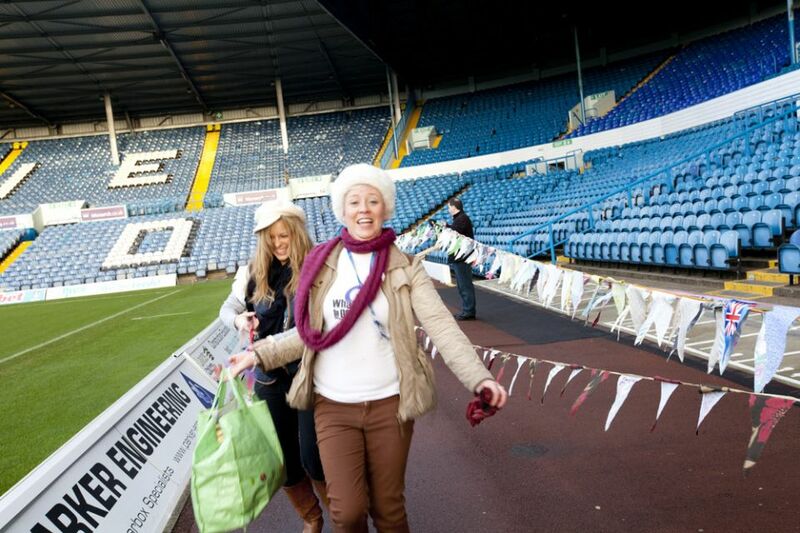 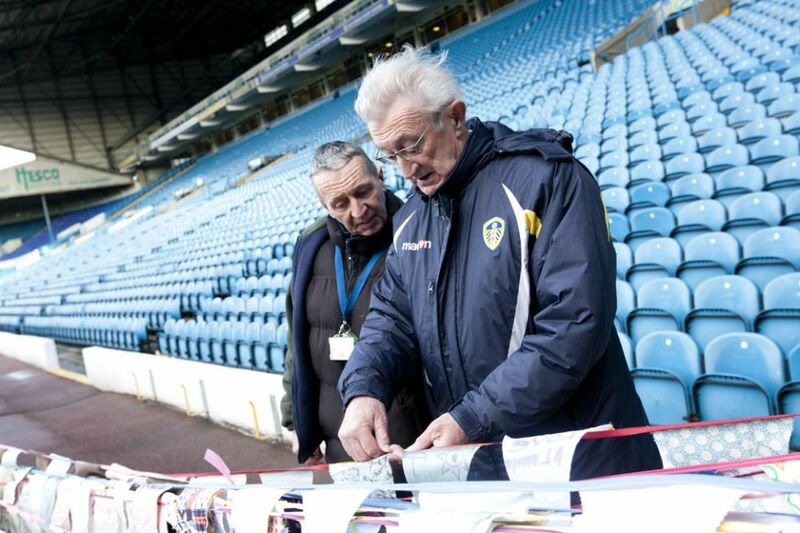 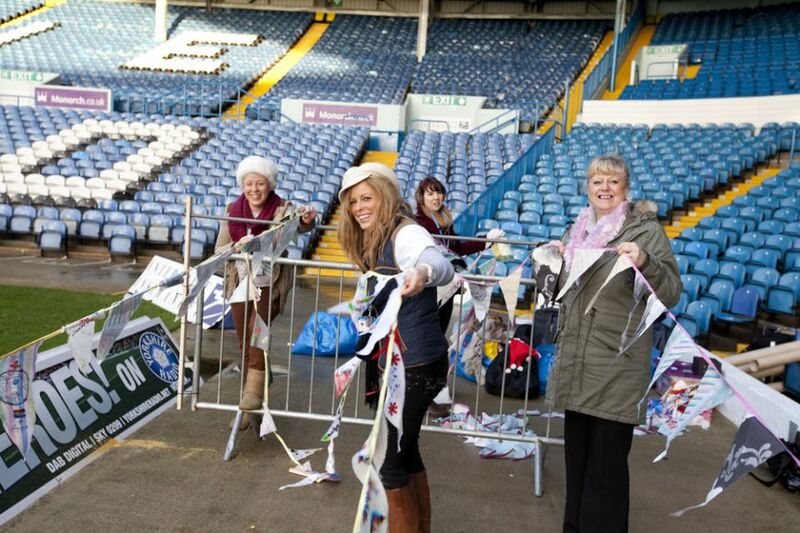 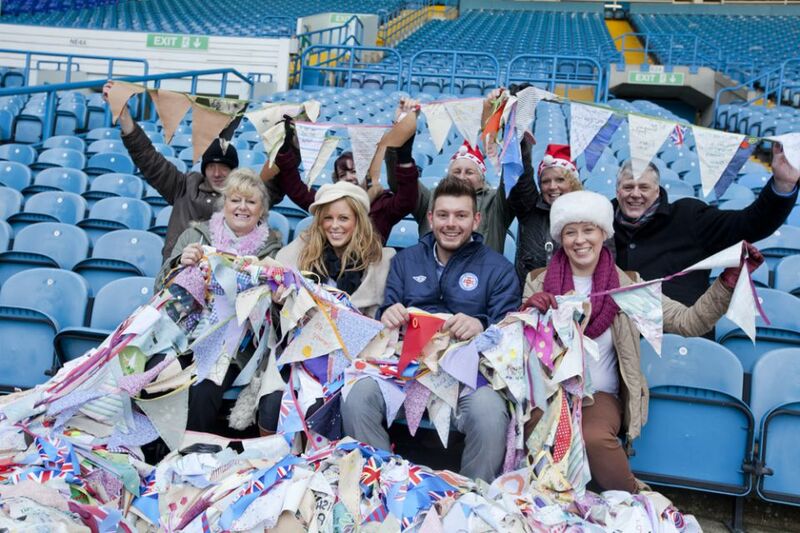 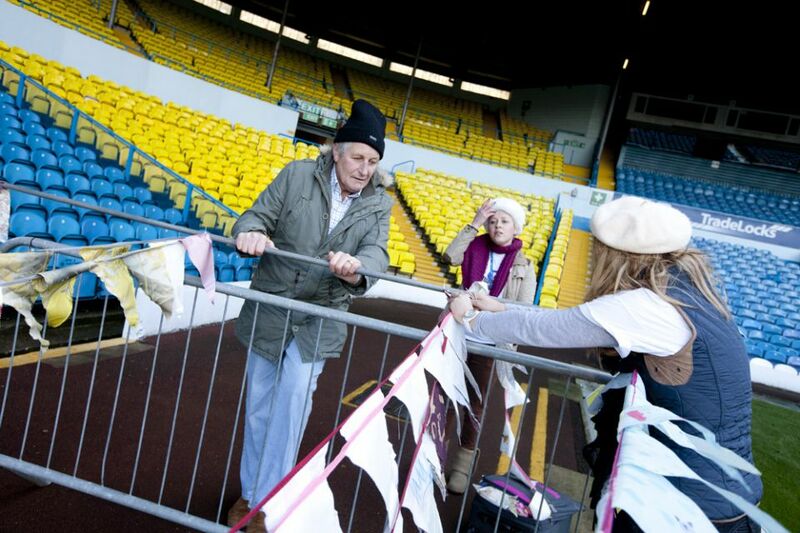 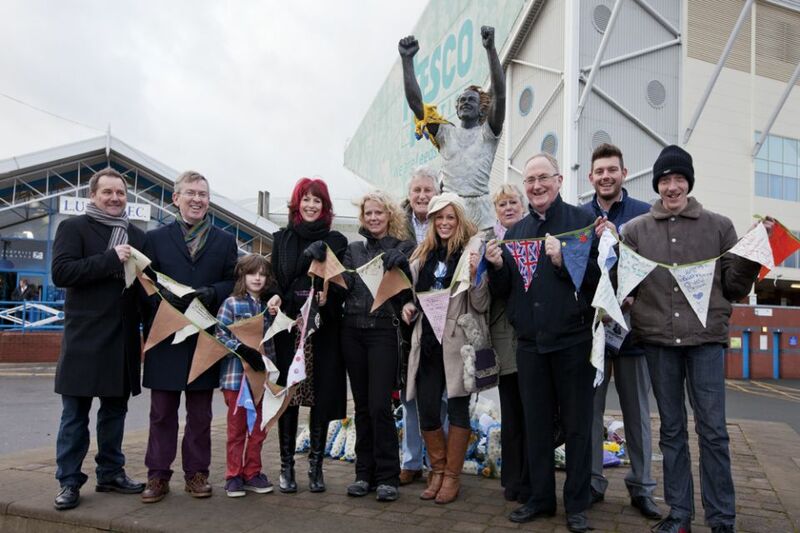 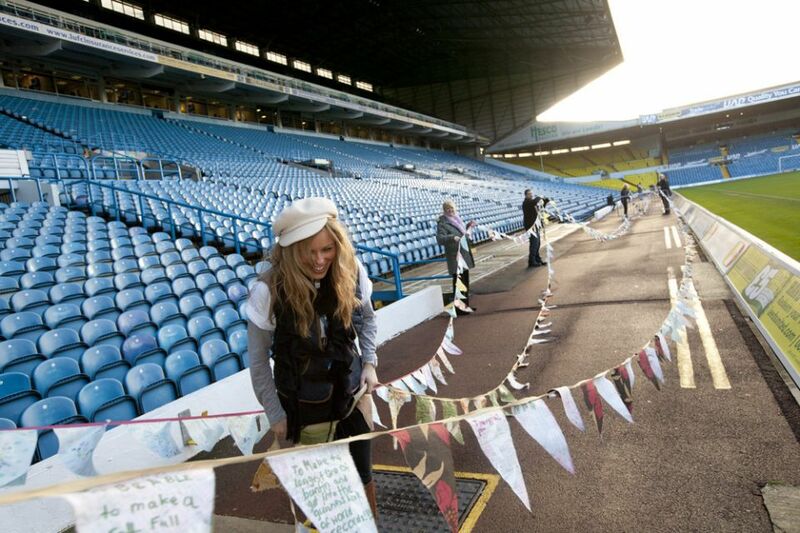 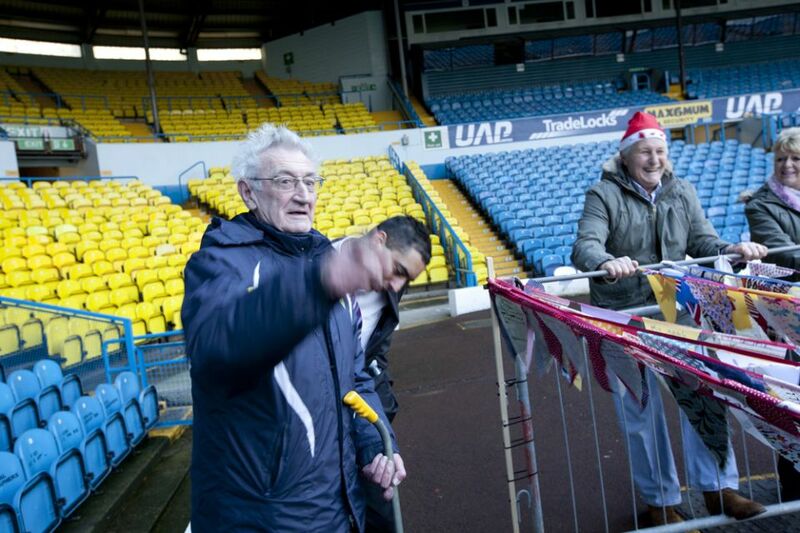 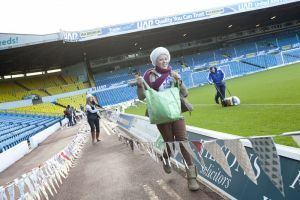 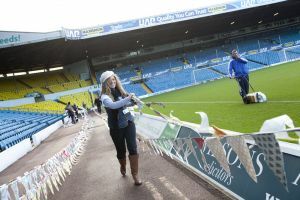 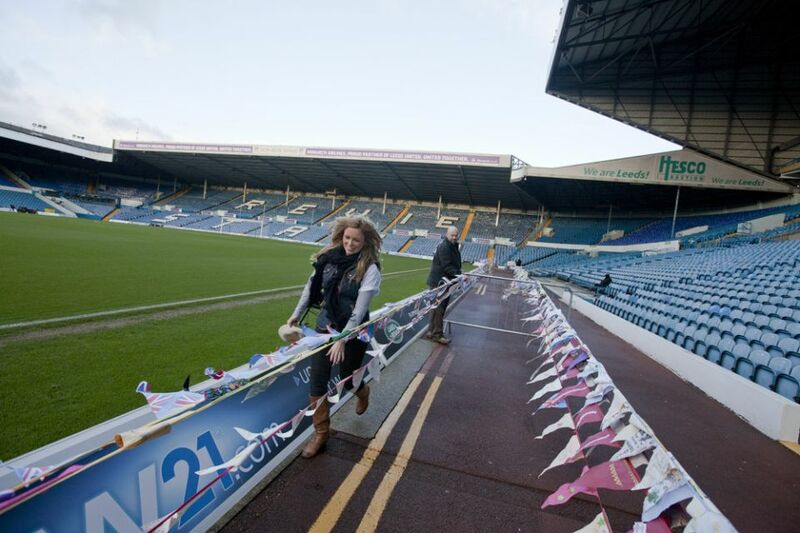 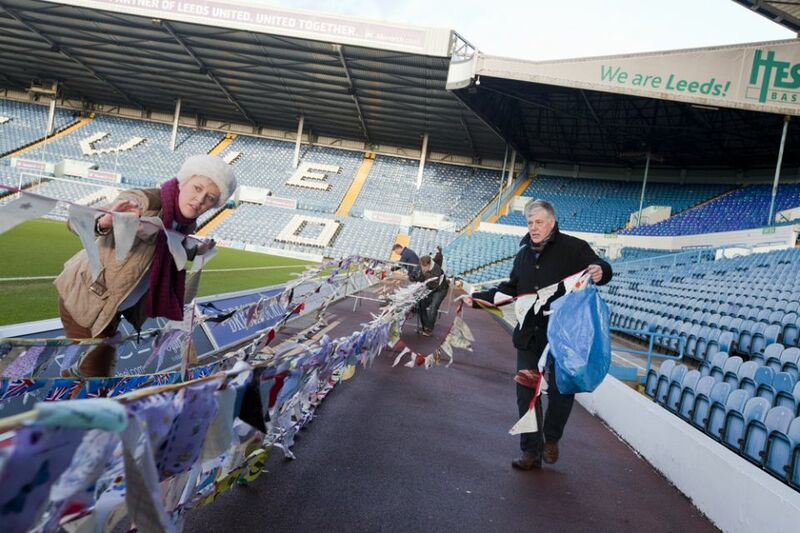 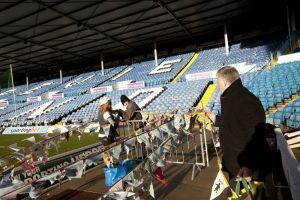 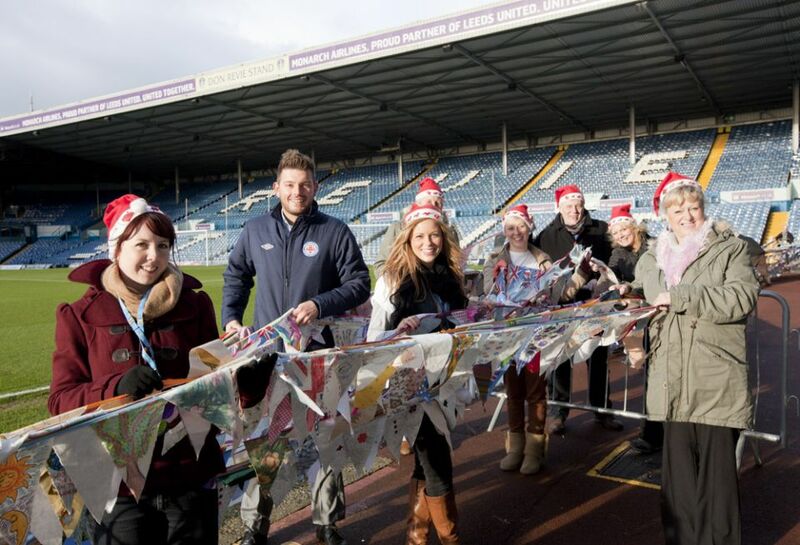 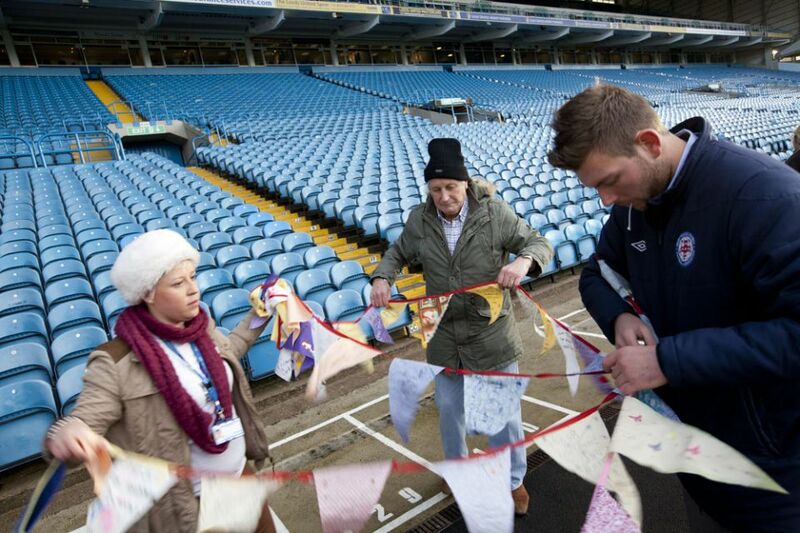 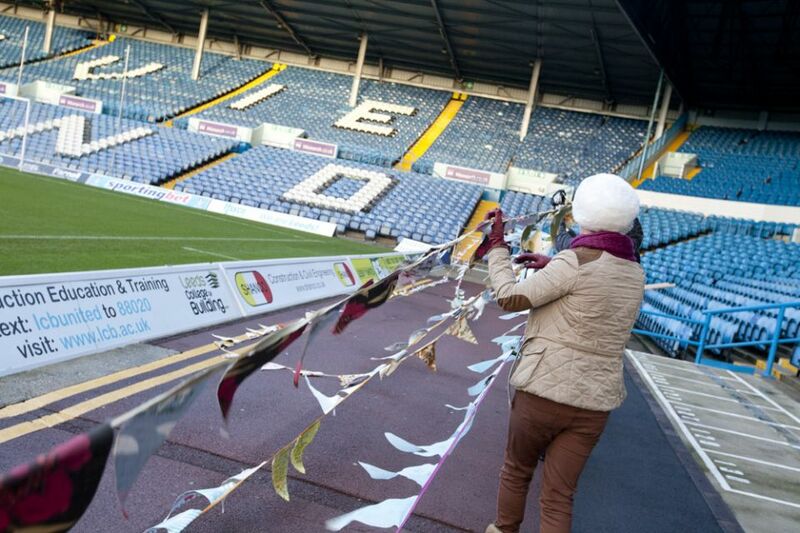 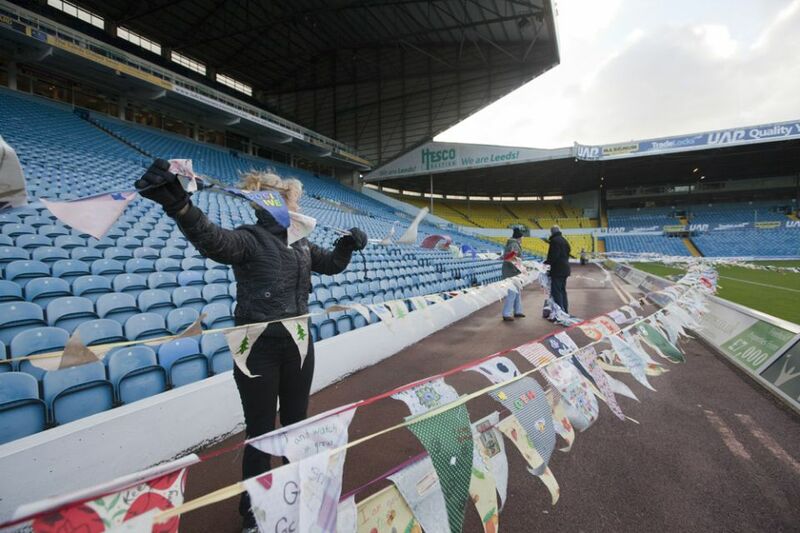 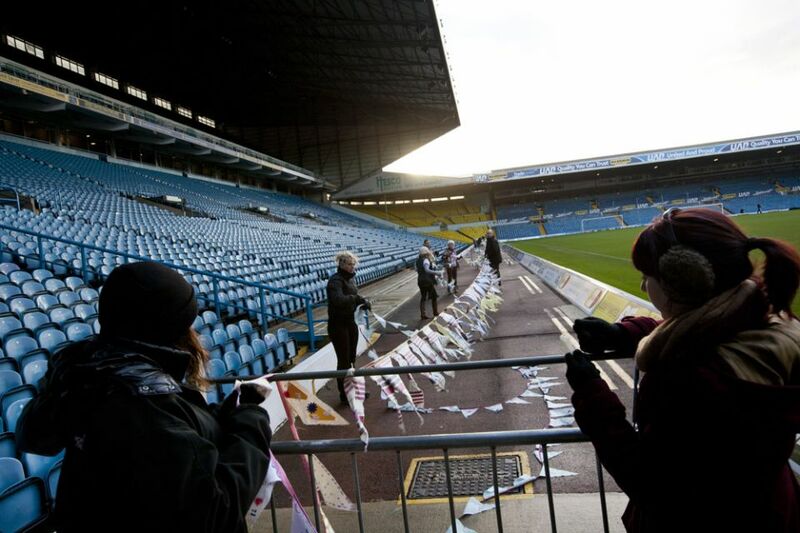 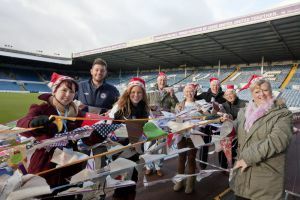 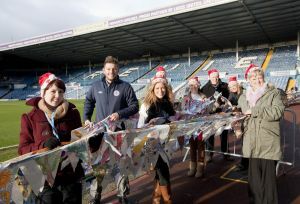 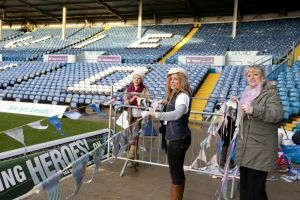 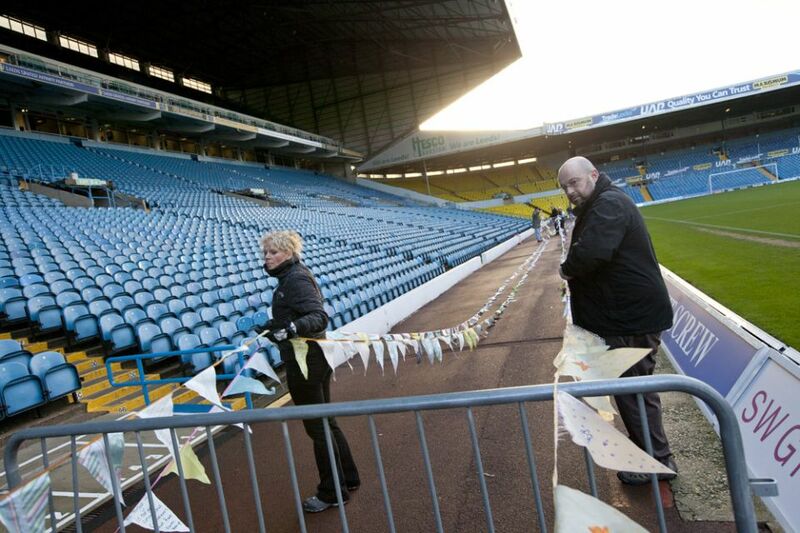 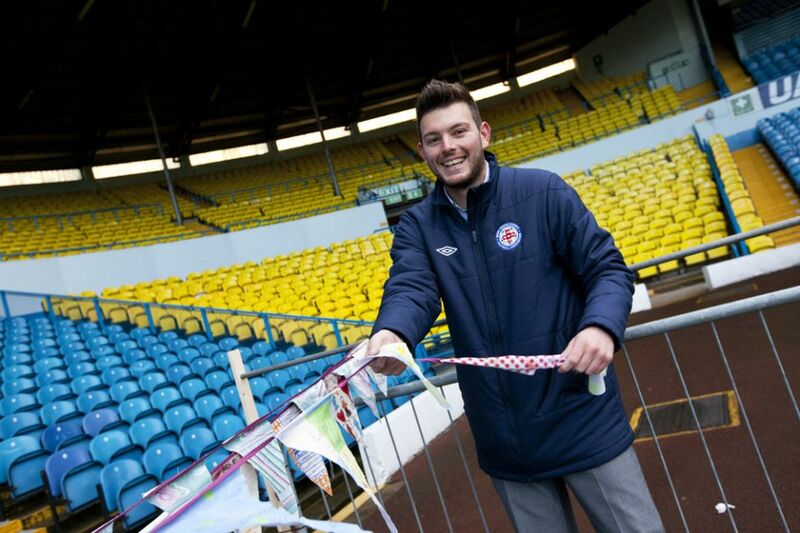 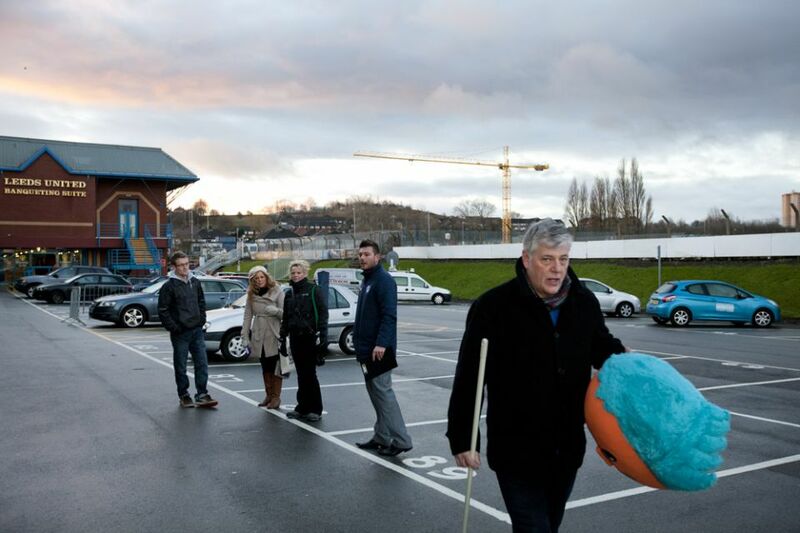 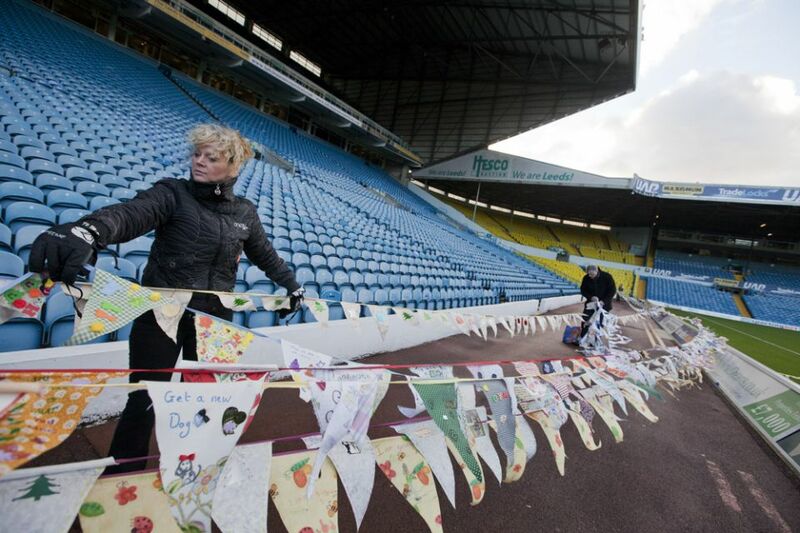 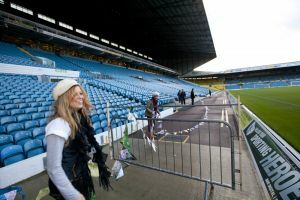 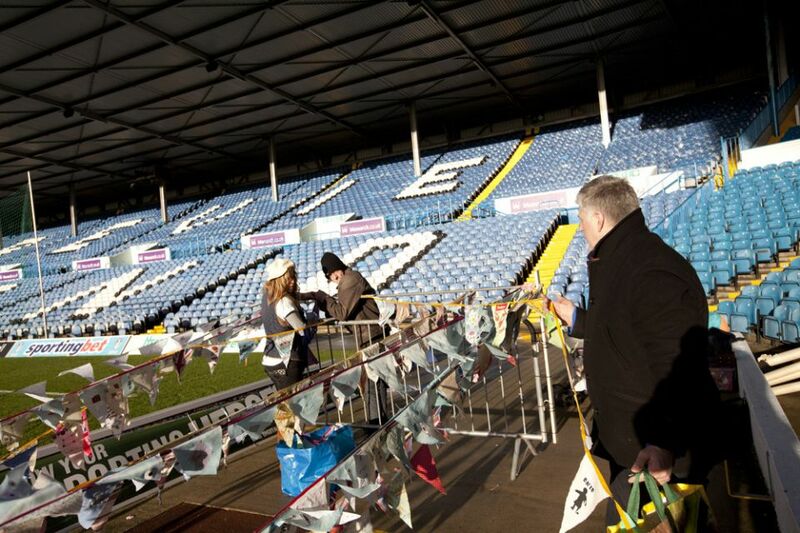 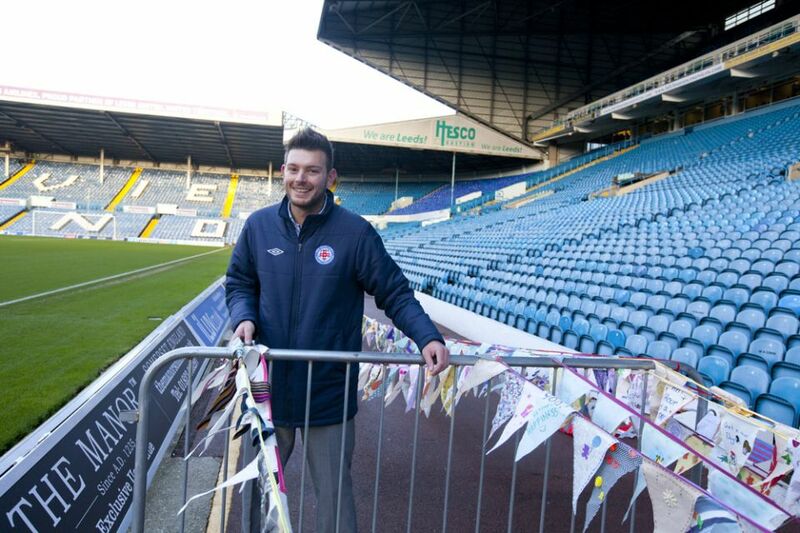 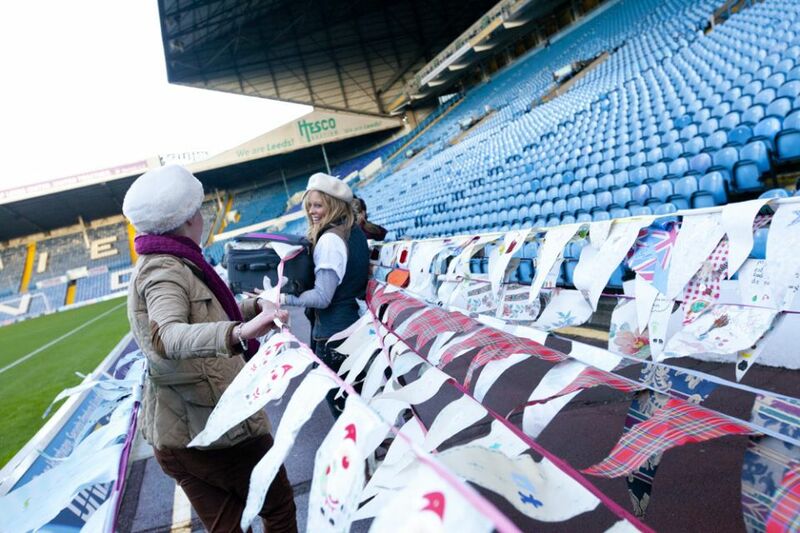 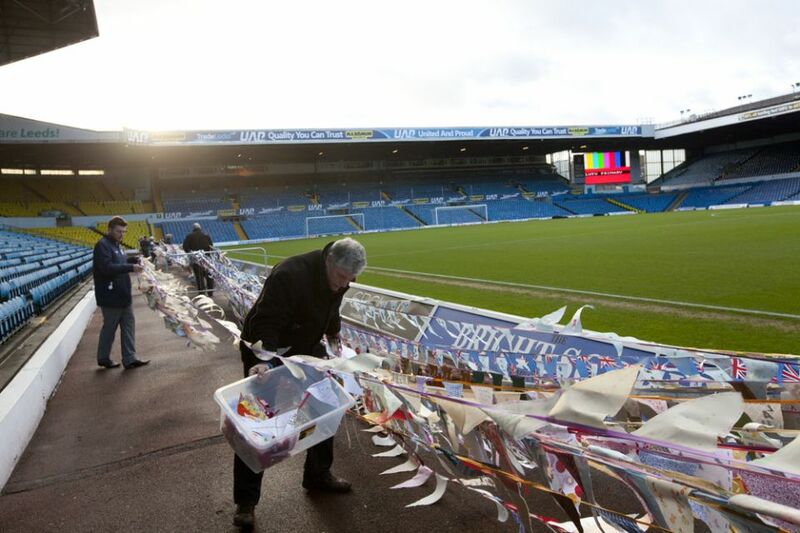 On Saturday 15 December, alongside Leeds United Football Club we made history by breaking the record for the longest line of bunting. 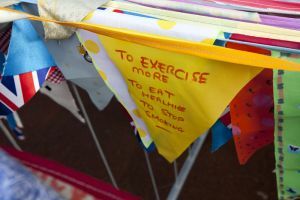 We launched a campaign named, What’s your Goal? 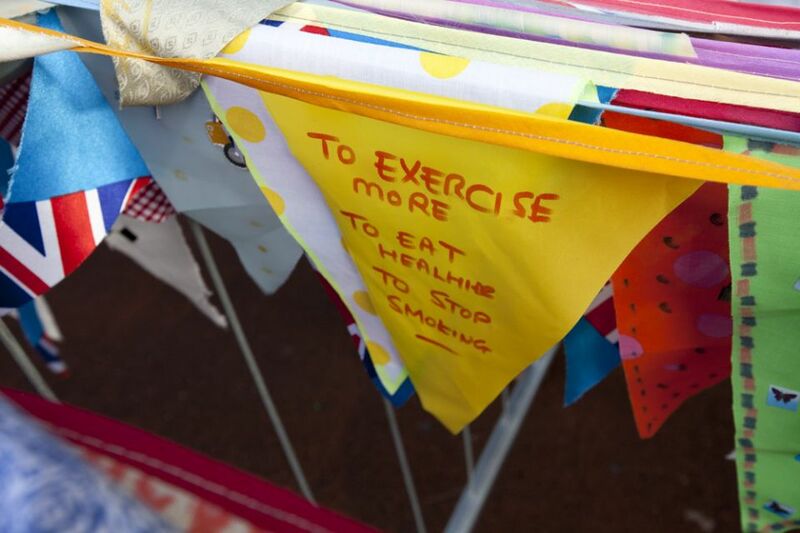 in February to raise awareness around the relationship between mental and physical health. 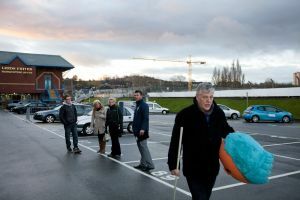 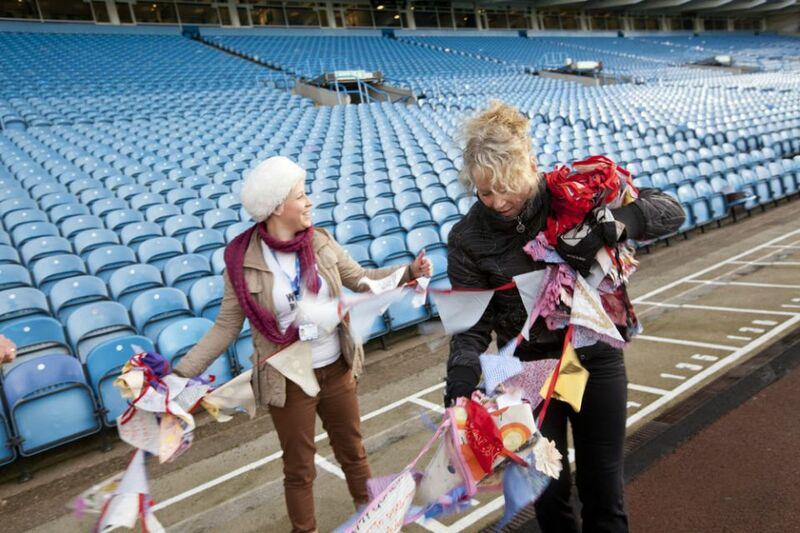 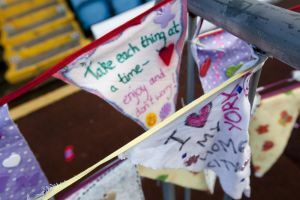 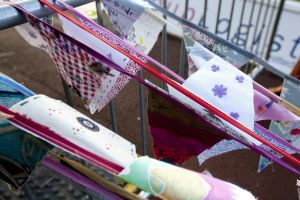 Members of the public, schools and businesses were all encouraged to set a goal and make a piece of bunting which represented their goal. 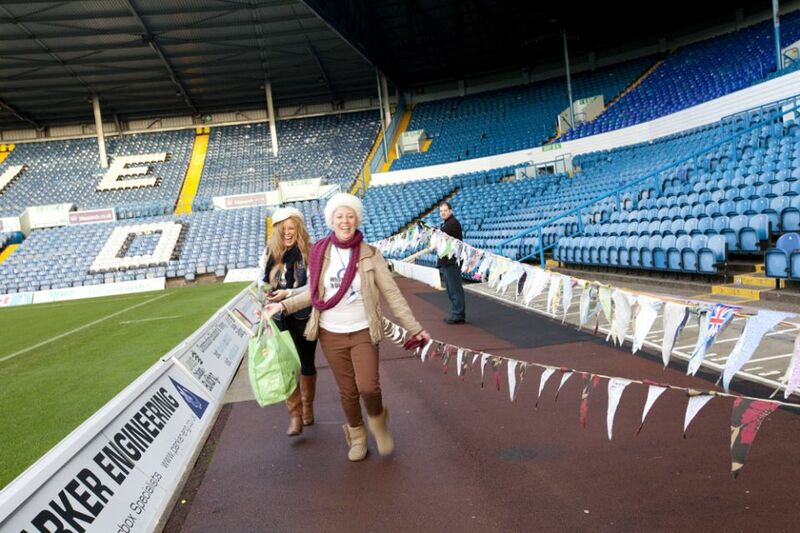 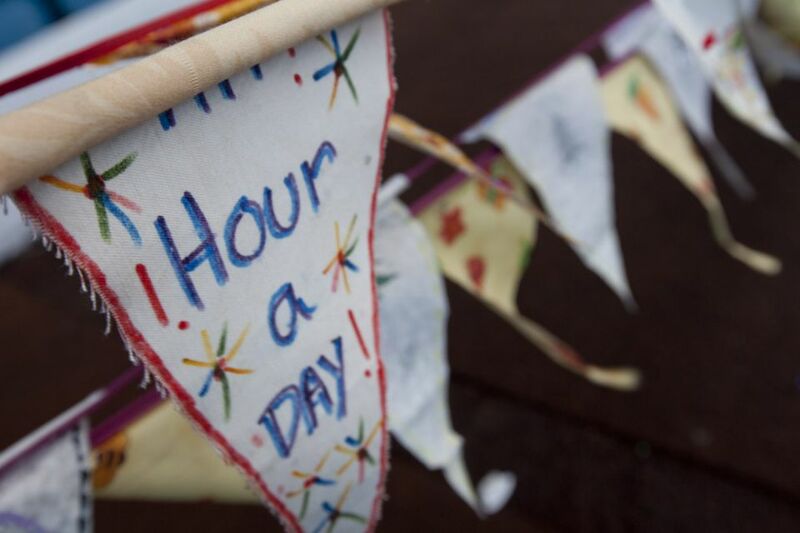 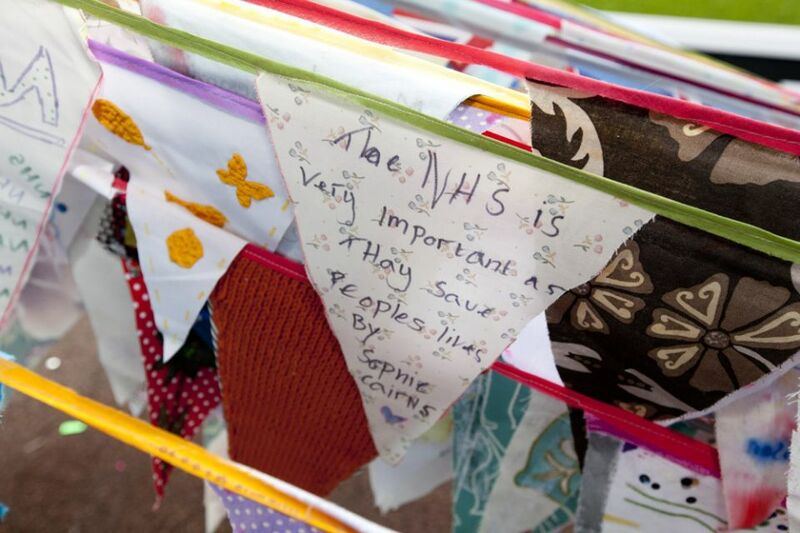 As part of our campaign, we set a goal to break the world record for the longest line of bunting. 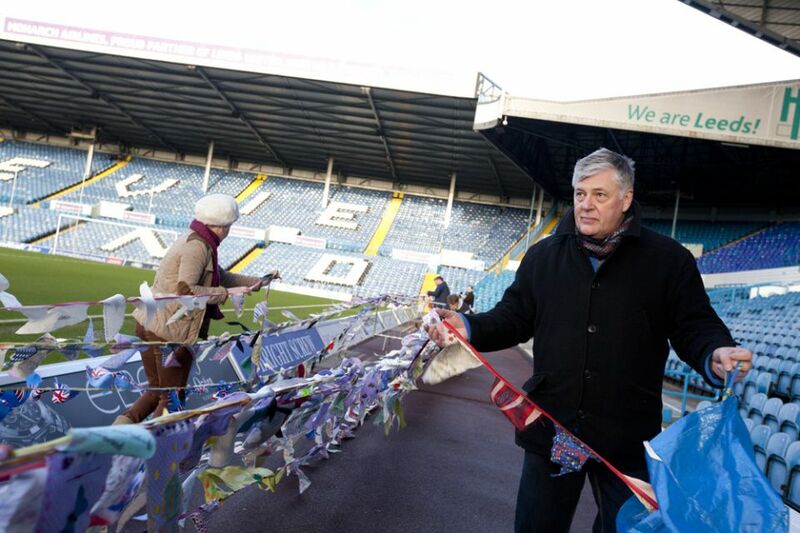 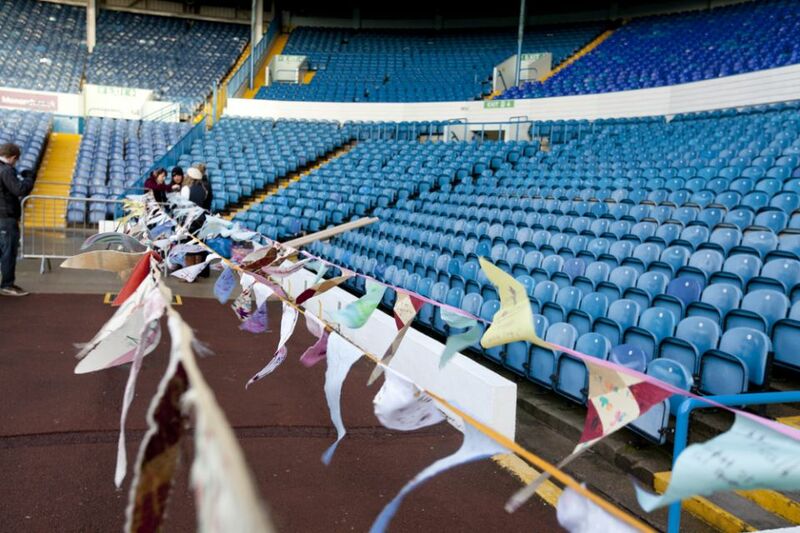 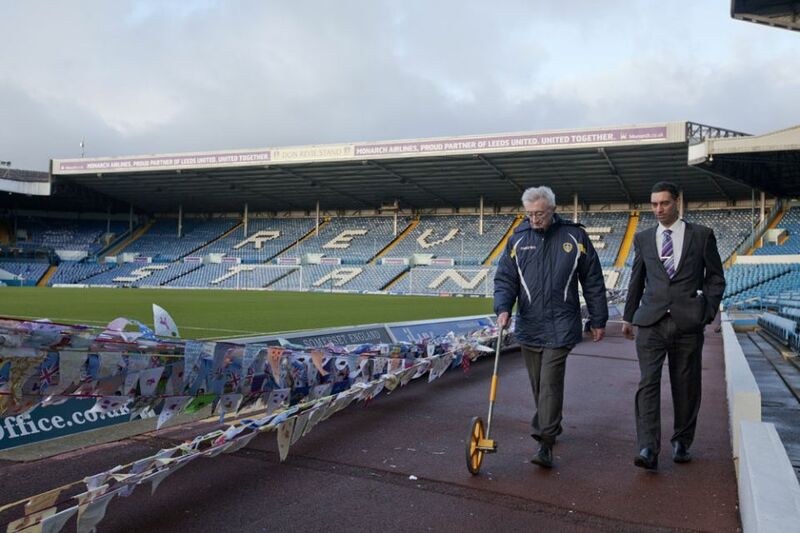 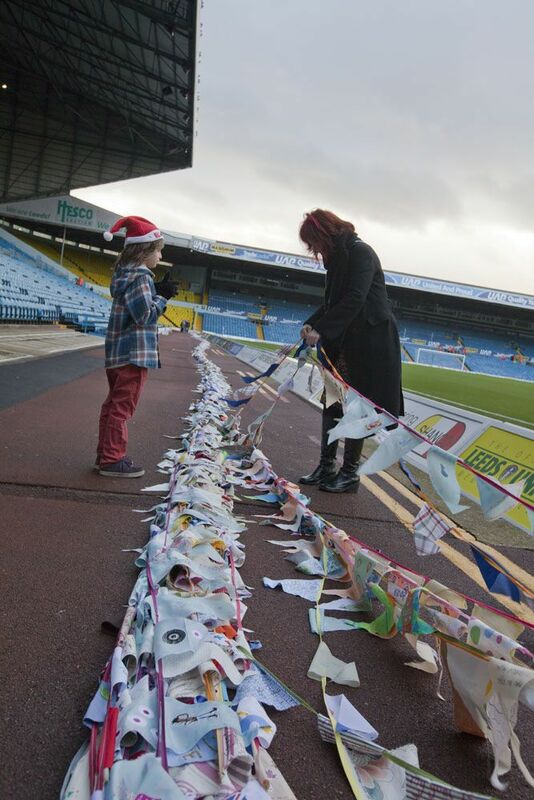 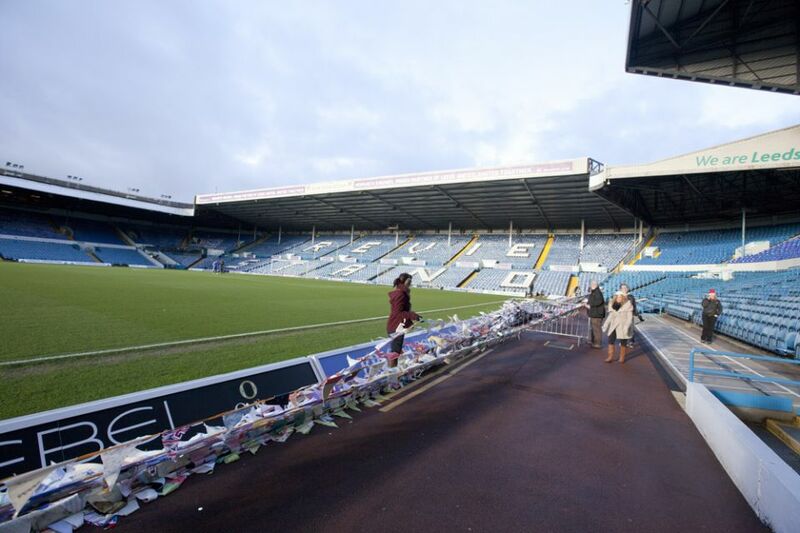 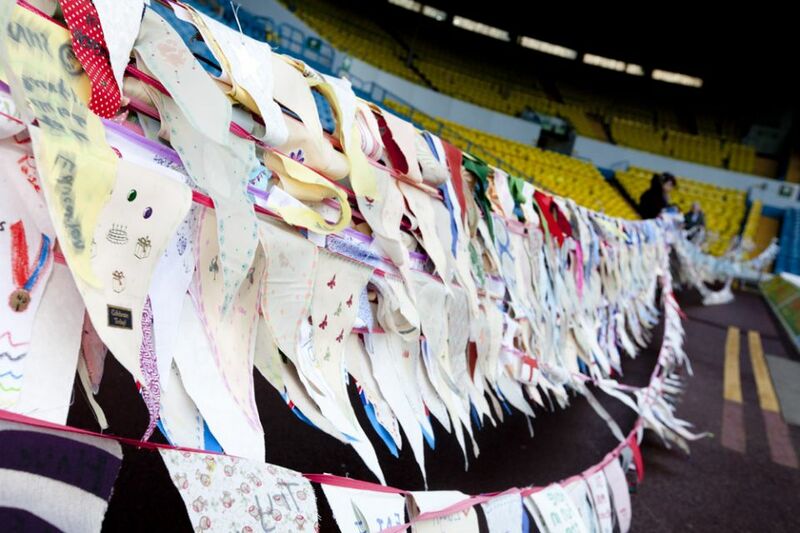 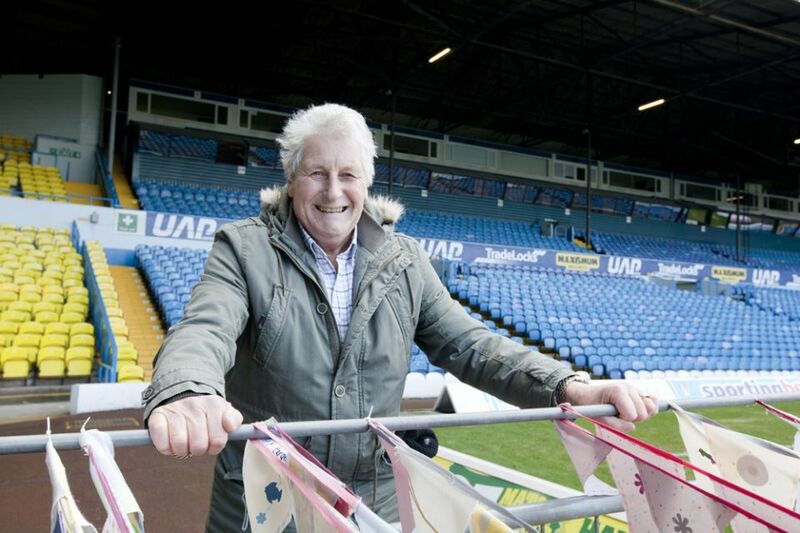 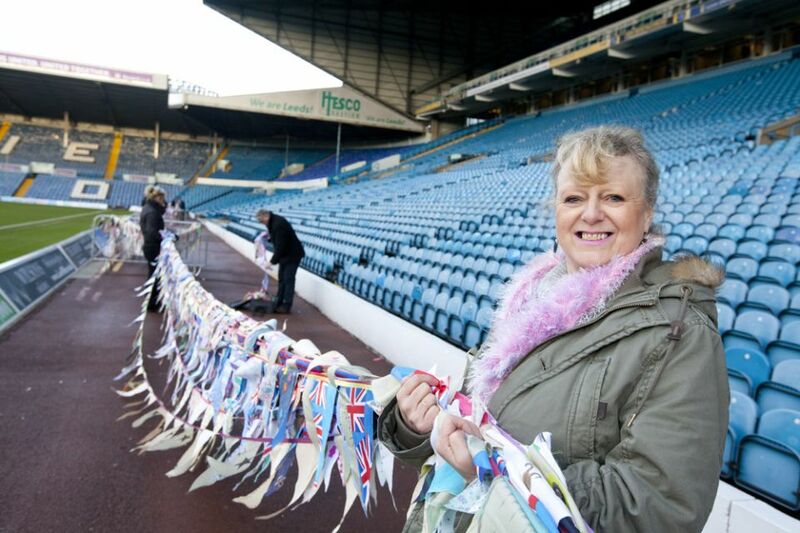 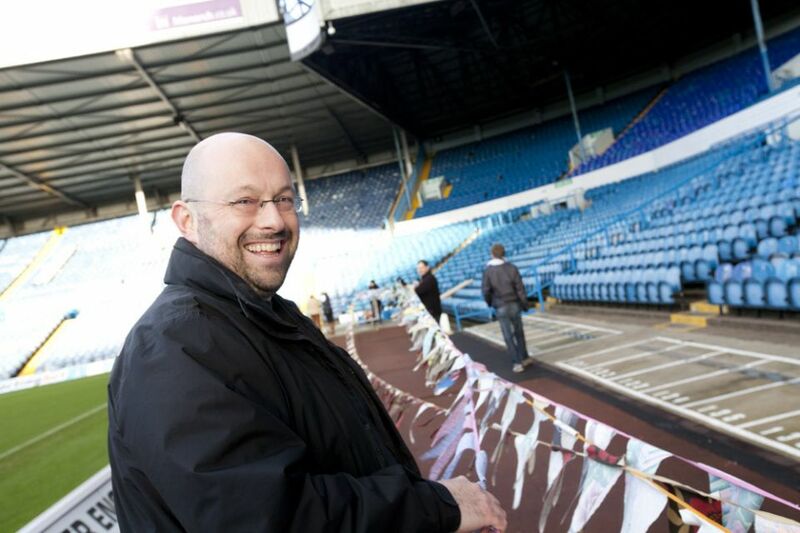 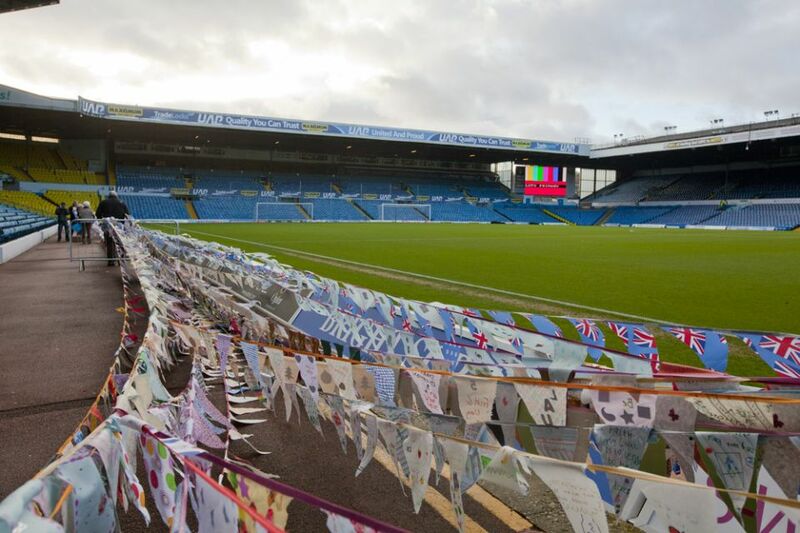 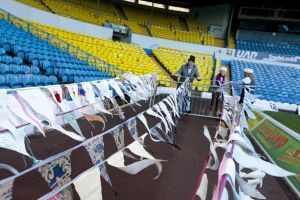 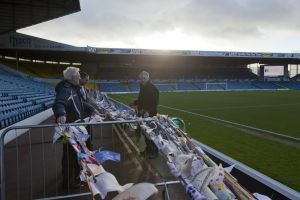 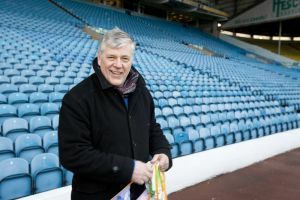 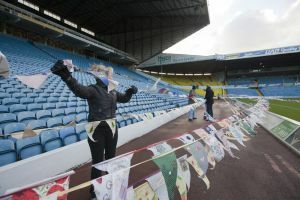 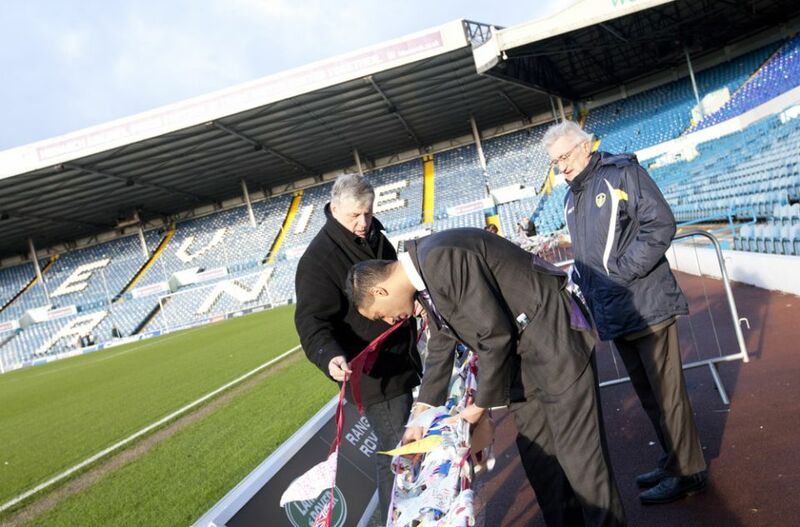 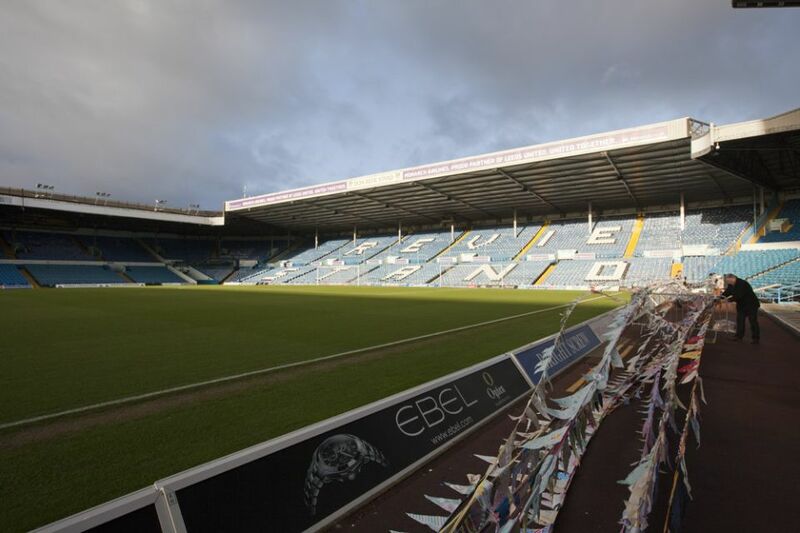 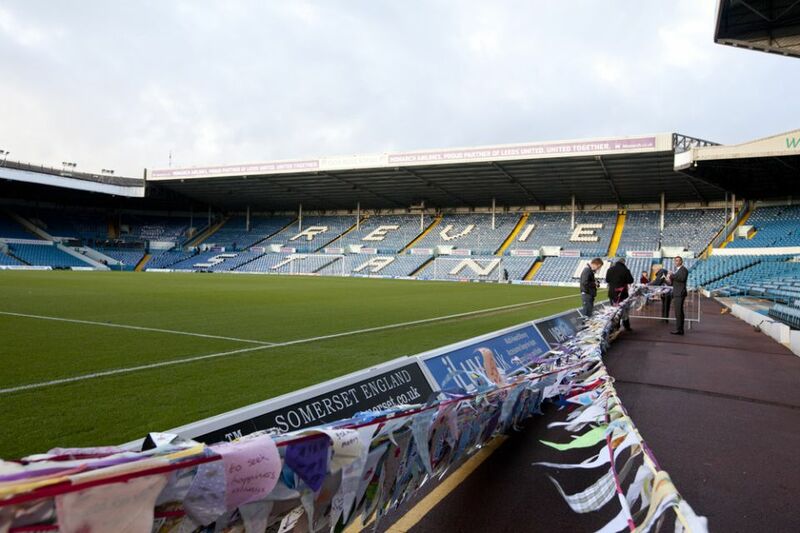 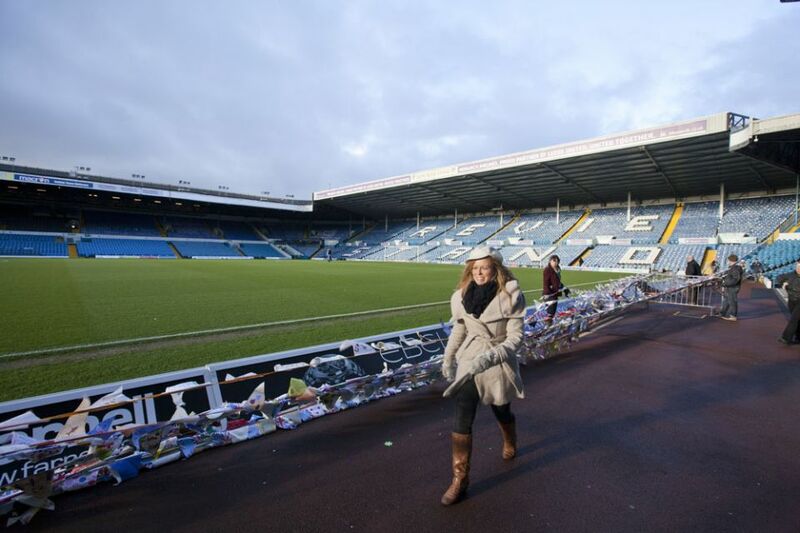 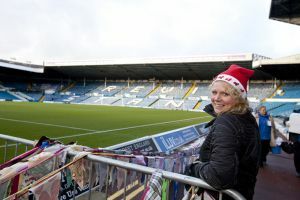 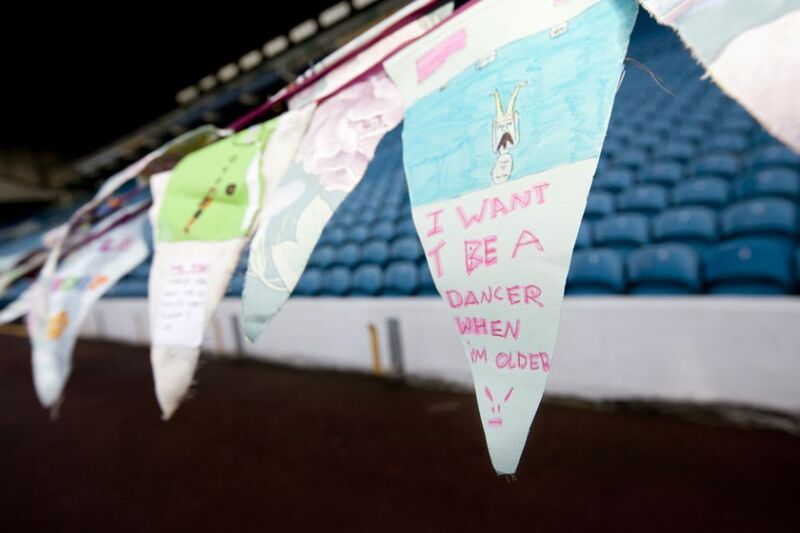 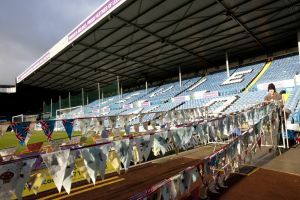 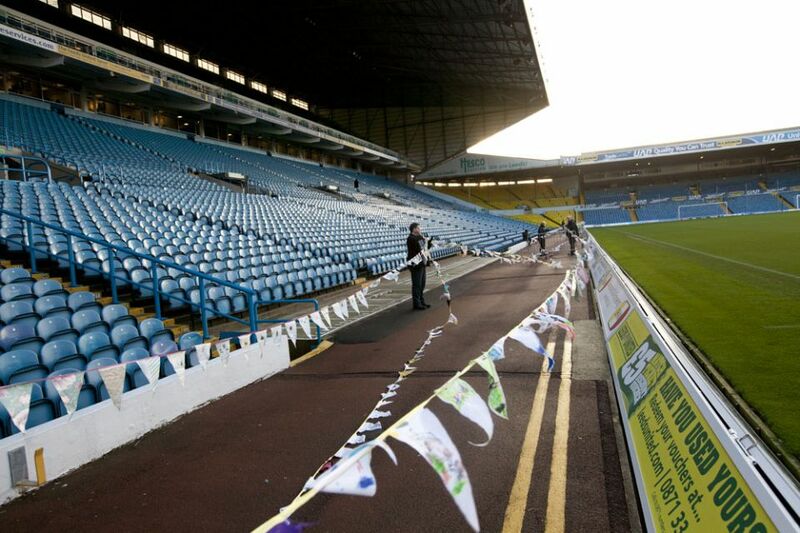 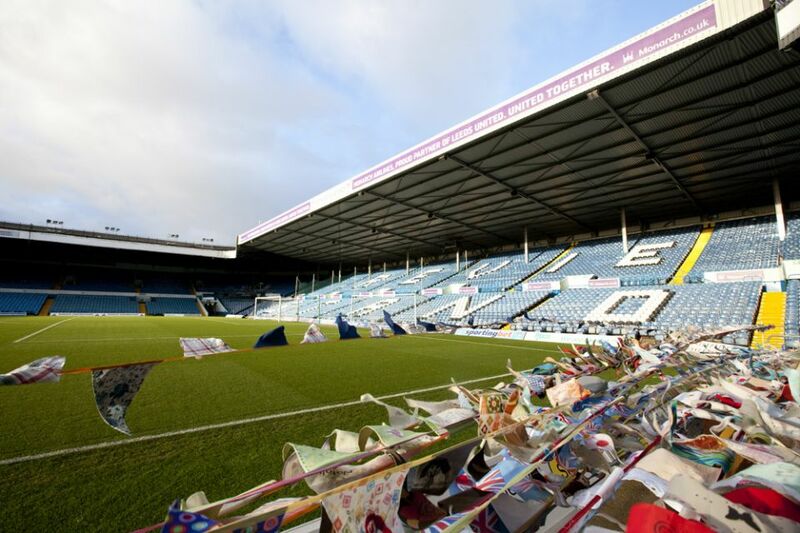 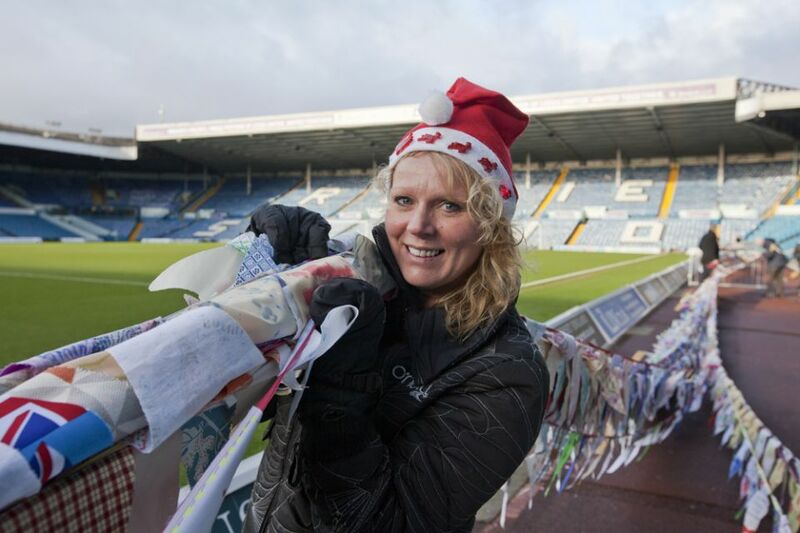 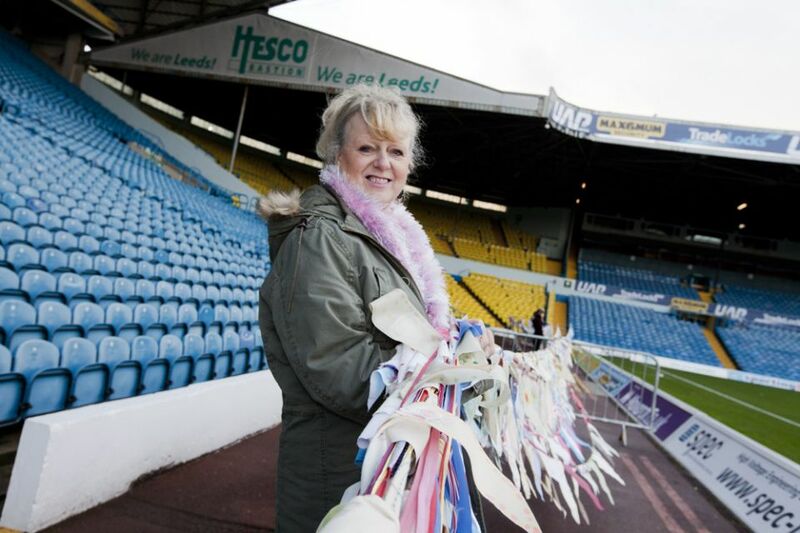 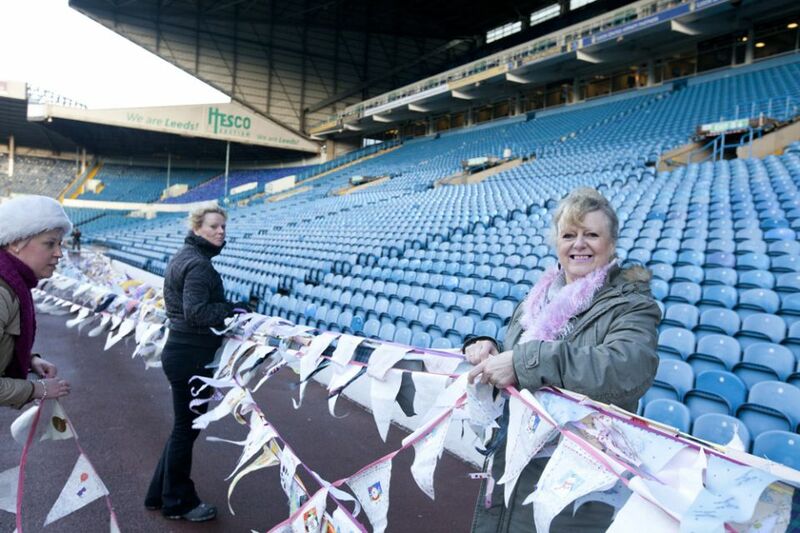 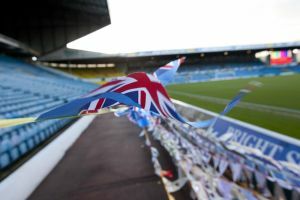 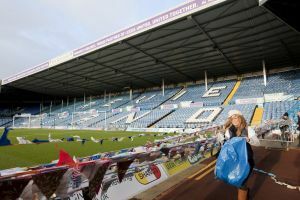 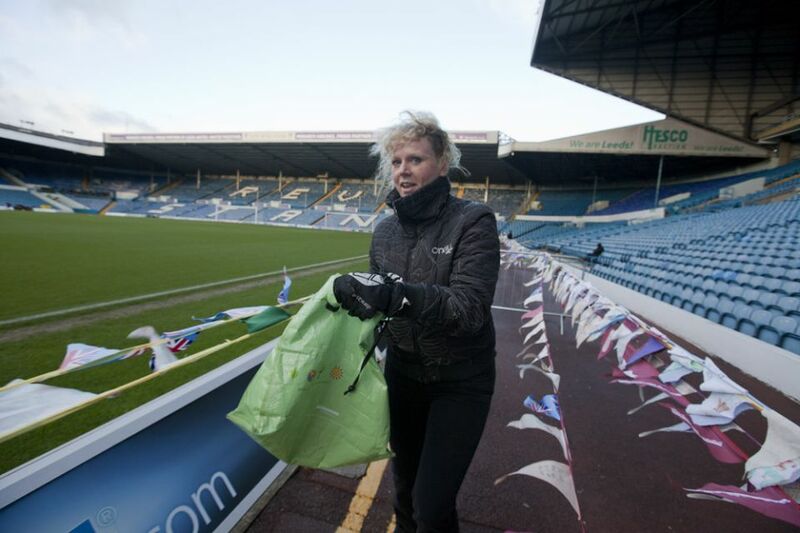 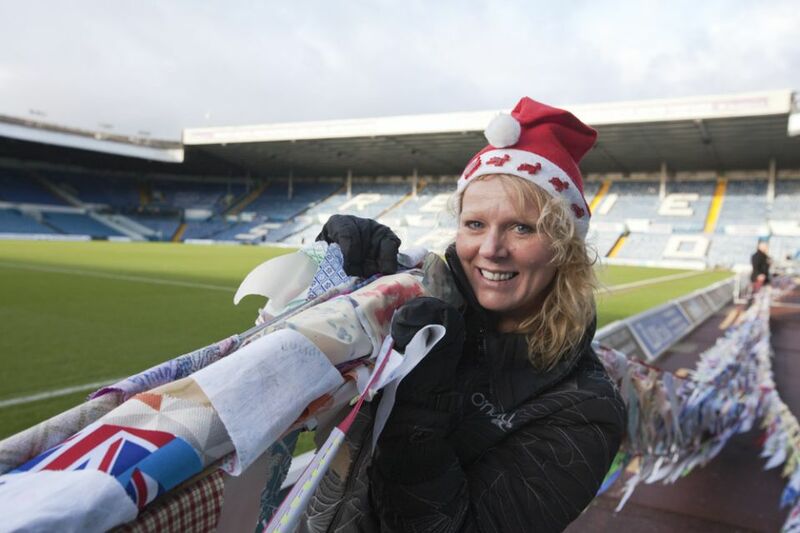 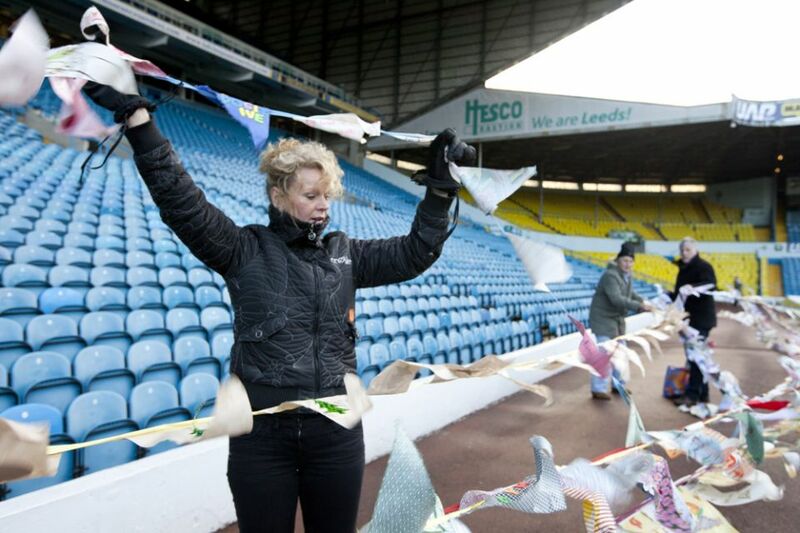 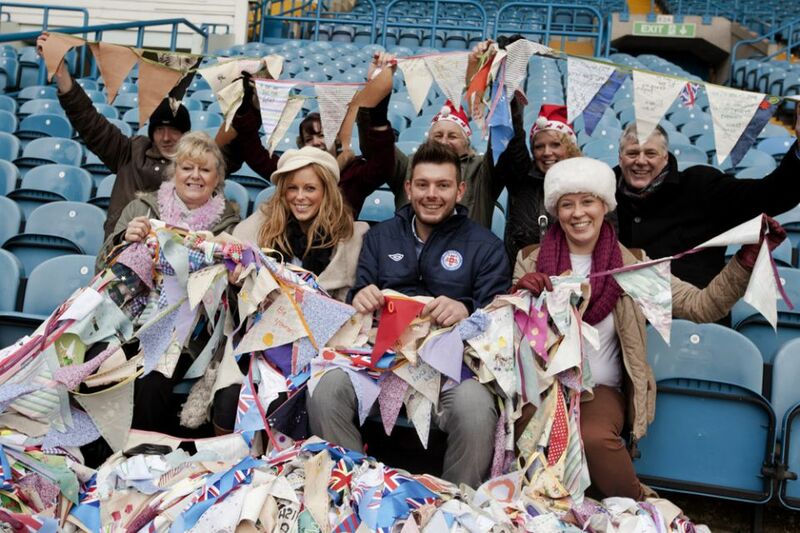 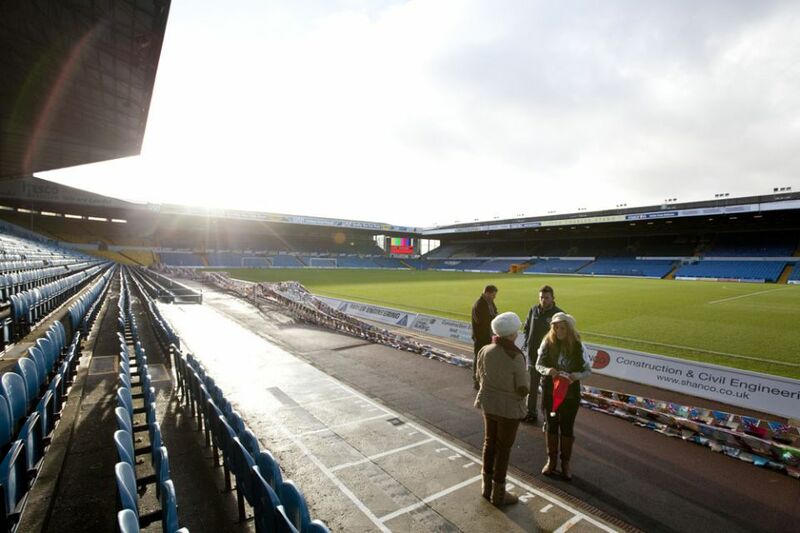 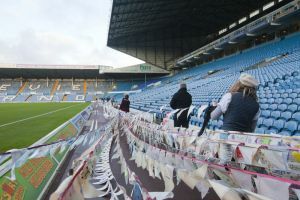 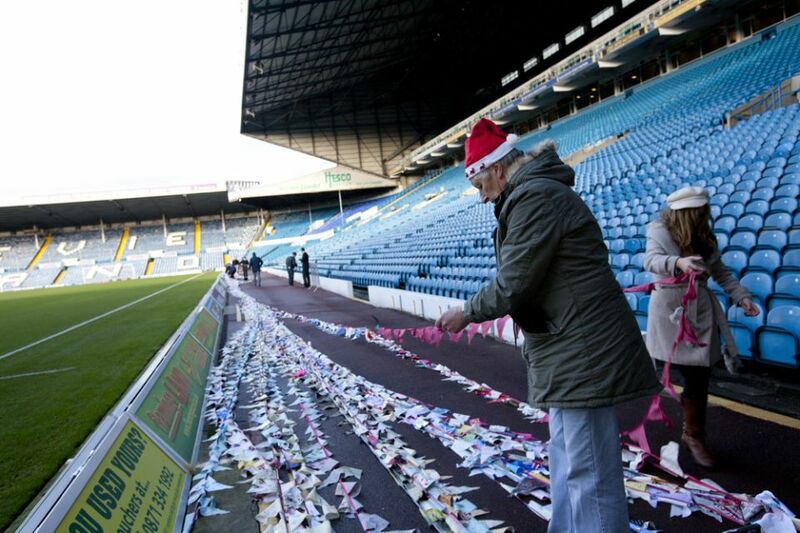 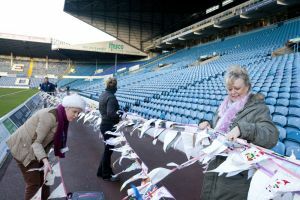 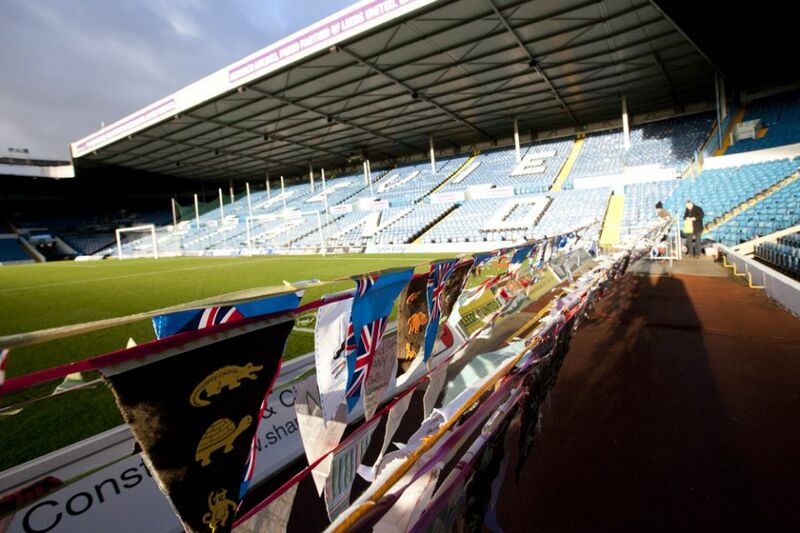 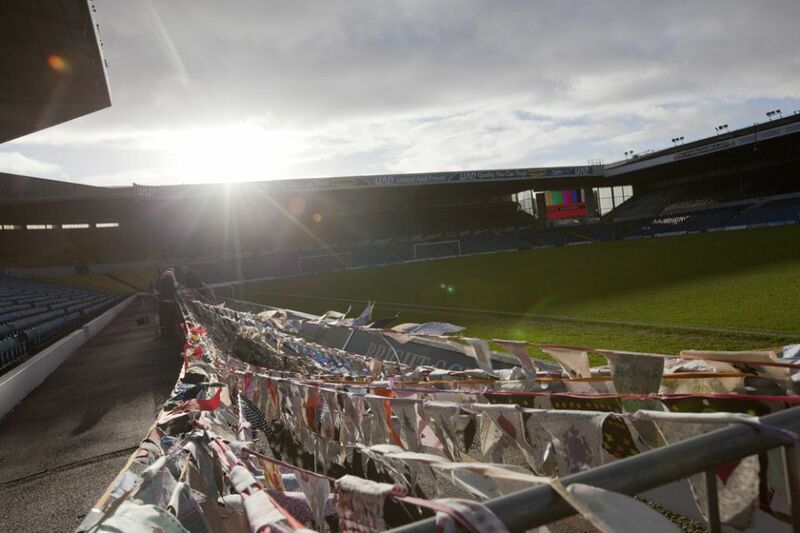 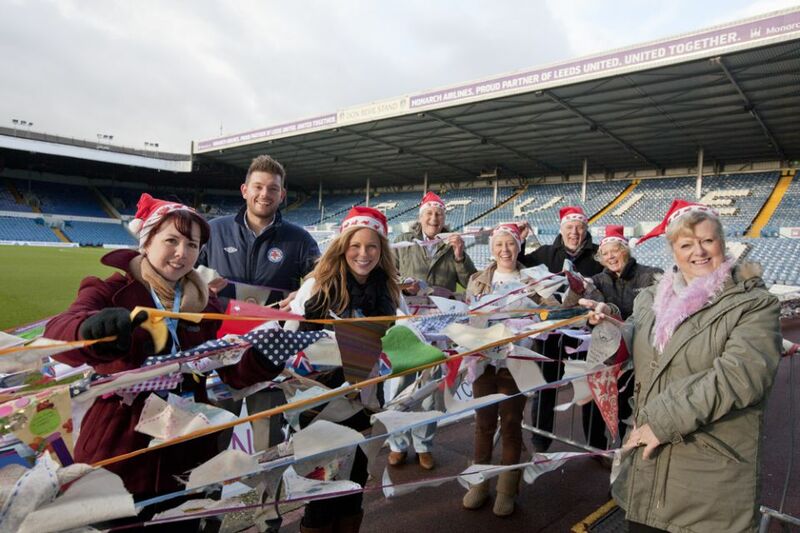 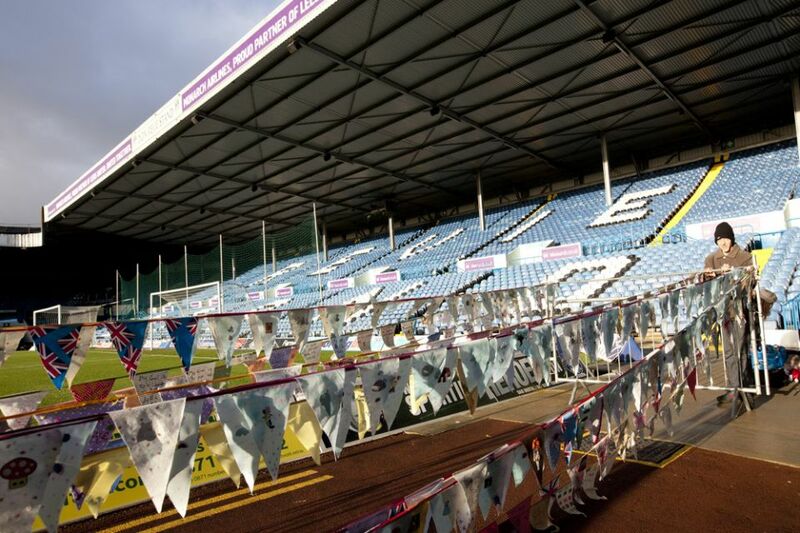 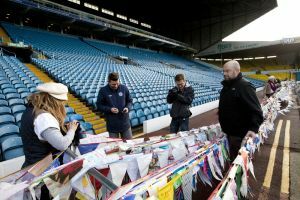 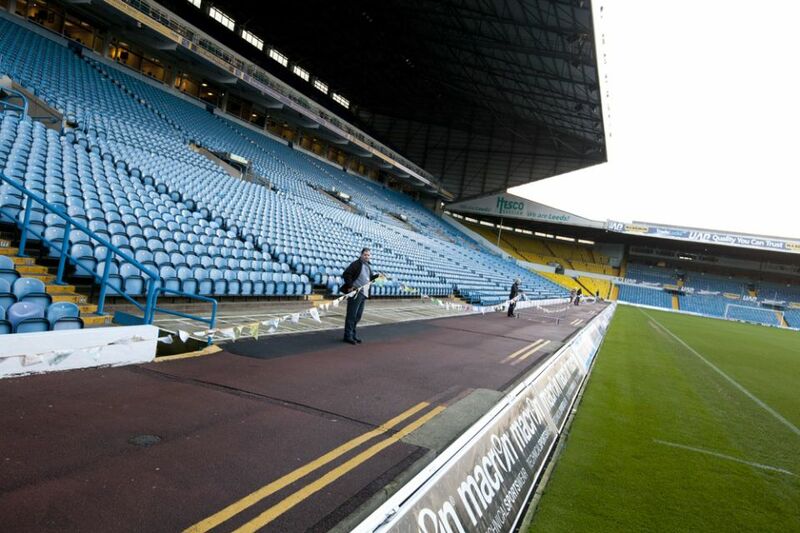 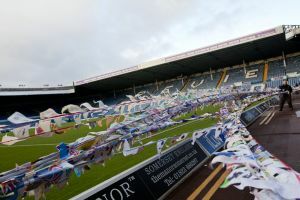 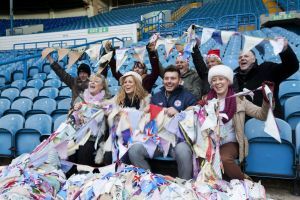 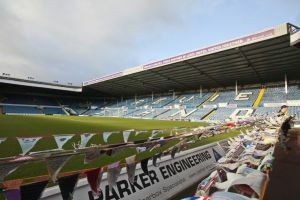 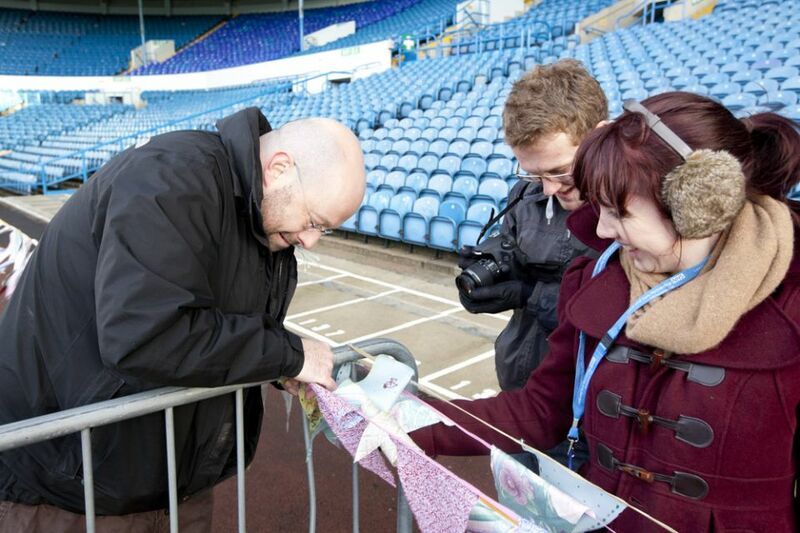 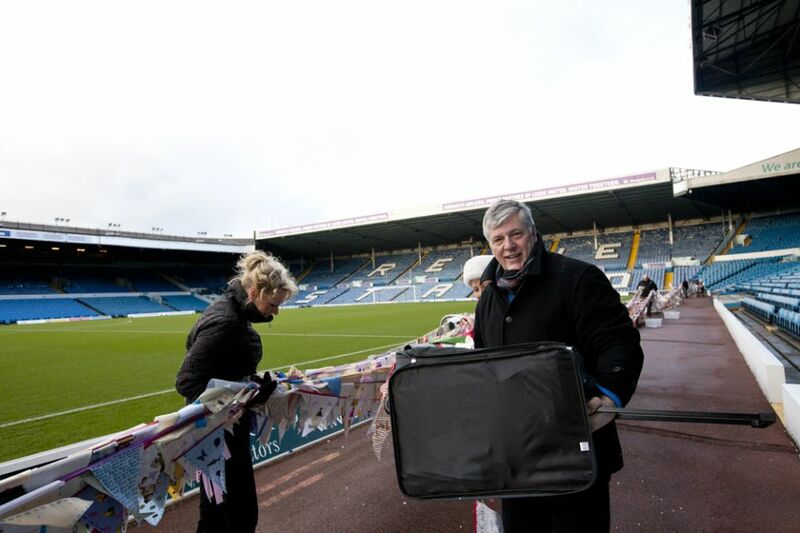 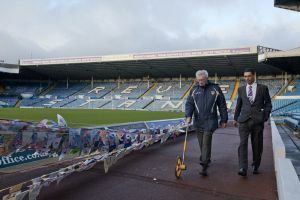 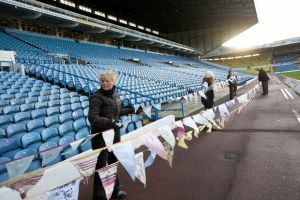 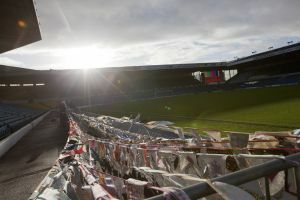 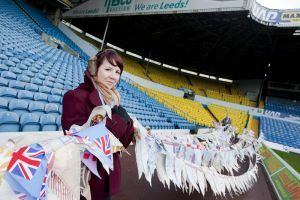 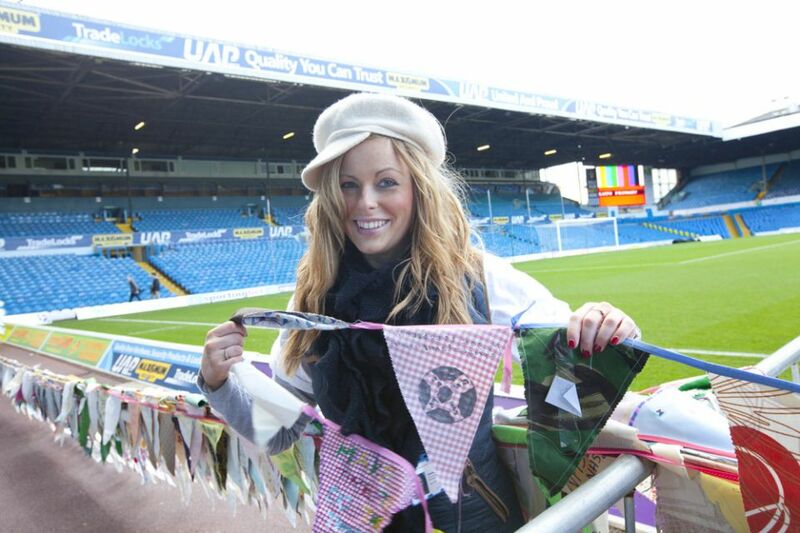 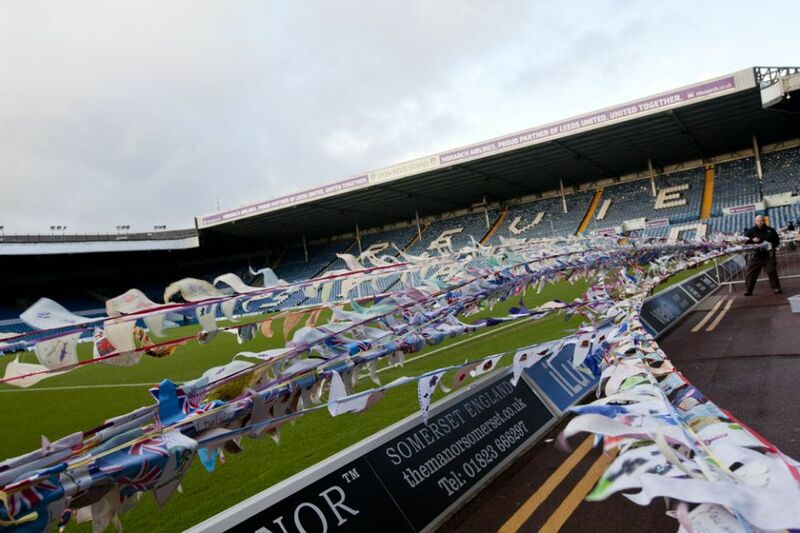 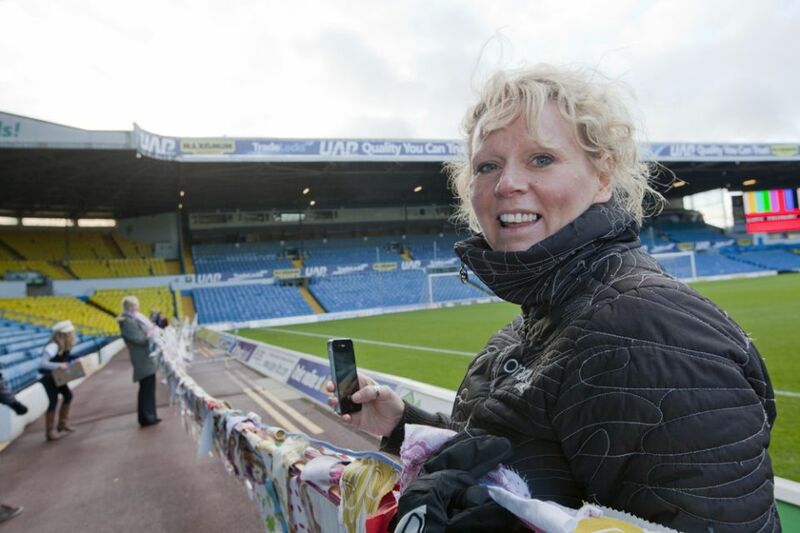 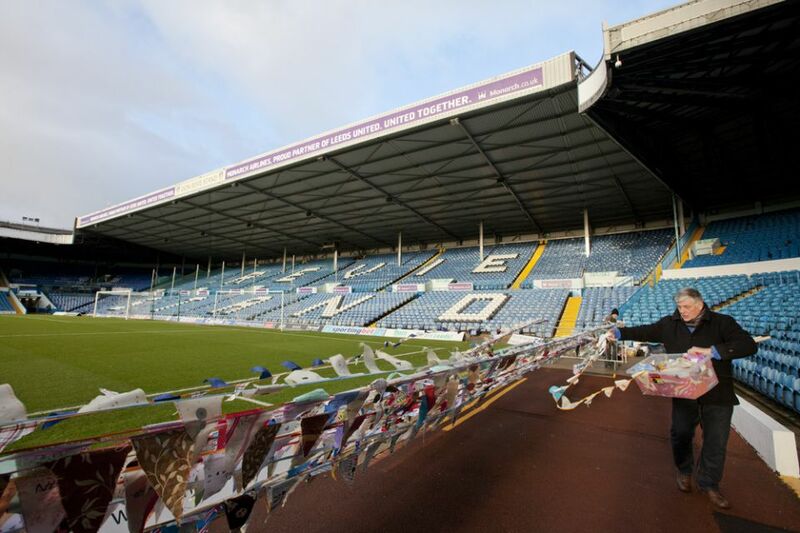 The finale to the fantastic year-long campaign will see over 15,100 pieces of bunting (over 2.2 miles long) all joined together and laid out on the pitch at Elland Road ready for invigilators to check the criteria needed to break the world record. 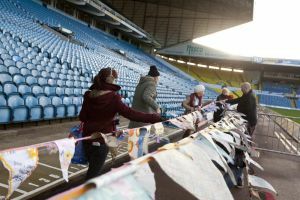 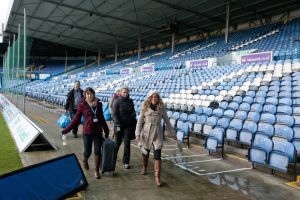 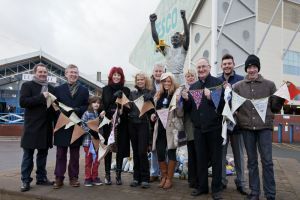 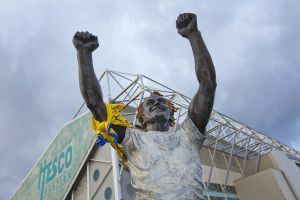 Players, coaches, ground staff and young trainees will got involved in the setting up breaking the world record which unfolded before the match between Leeds United FC and Ipswich Town on Saturday. 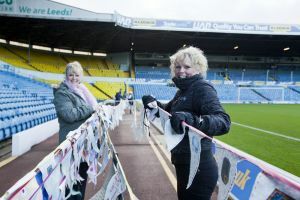 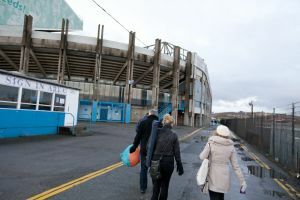 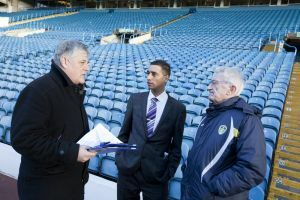 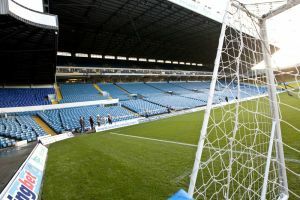 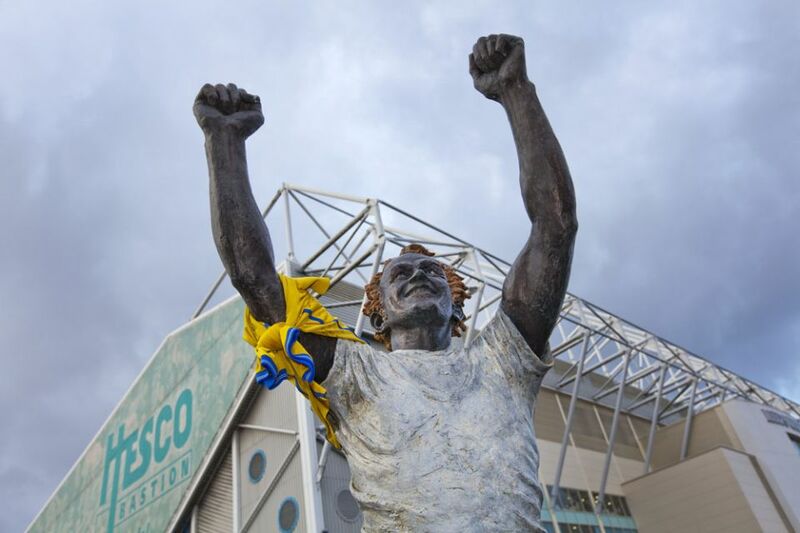 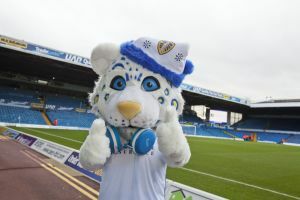 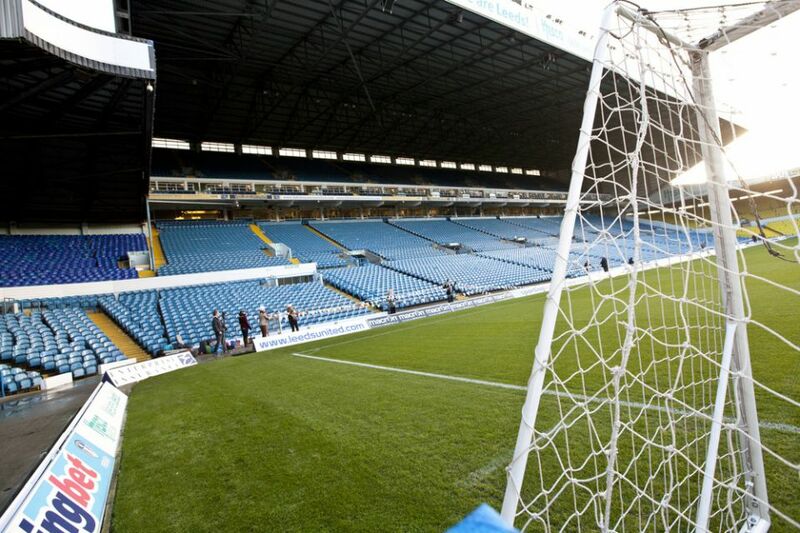 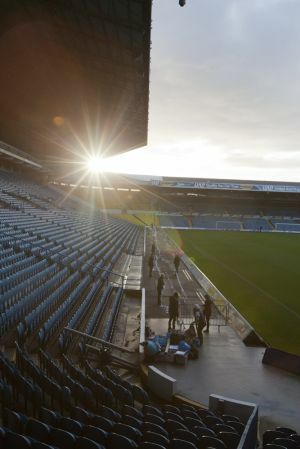 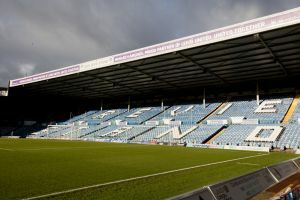 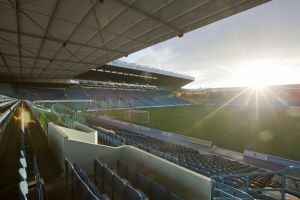 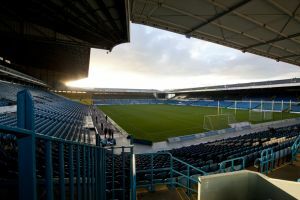 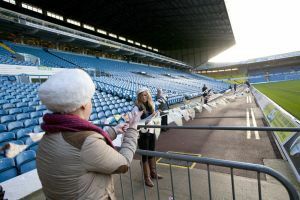 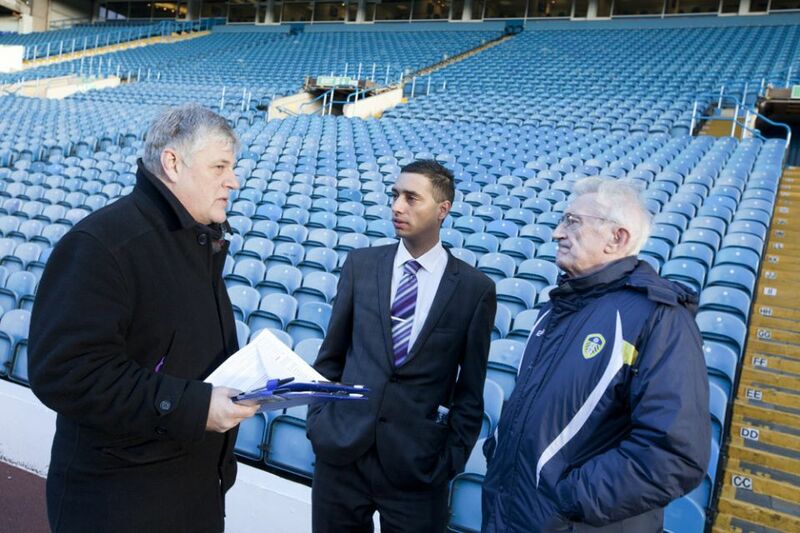 By breaking the record at Leeds United’s Football ground the Trust hopes to get players and fans thinking and talking about mental health. 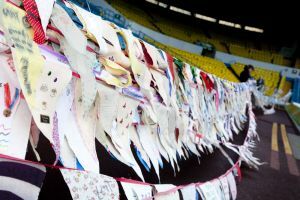 We would like to say a huge thank you to everyone who has been involved in the world record attempt, from people who have made a piece of bunting to all the volunteers who have helped at events and to everyone who has donated materials as well as our supporters. 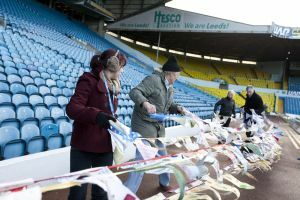 A special thank you to the Leeds United Foundation, Community Ventures, Hempsons, My Fabric House and Hobby Craft for their continued support throughout the campaign.